Mild analgesic and anttpvretic. and is recommended for the treatment of most painful and febrile conditions. Paracetamol is rapidly and almost completely absorbed from the gastrointestinaJ tract. The concentration in plasma reaches a peak in 30 to 90 minutes and the plasma half-life IS 1 – 4 hours after therapeutic doses, Paracetamol is relativtely uniformly distributed throughout most body fluids. Binding of the drug to plasma proteins is variable; 20 to 30% may be bound at the concentrations encountered during acute intoxication. Following therapeutic doses 90 – 100% of the drug may be recovered in the urine within the first day. However, practicaflv no paracetamol is excreted unchanged and the bulk is excreted after hepatic conjugation. An increase in the interval between doses of paracetamol has been recommended for adults with chronic renal failure.Haemodialysis may result in reduced plasma levels of paracetamol and therefore supplementary doses of paracetamol maybe necessary in order to maintain therapeutic blood levels. Analgesic and antipyretic. and is recommended for the treatment of most painful and febrile conditions, for example headache including migraine and tension headaches. toothache , backache. rheumatic and muscle pains. dysmenorrhoea, sore throat. and for relieving the fever, aches and pains of colds and flu. 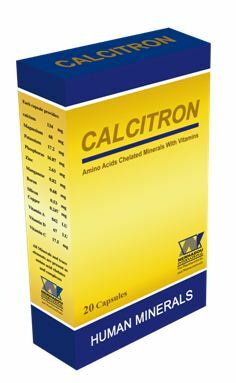 Also recommended for the symptomatic relief of pain due to non-serious arthritis. 6 – 12 years: Half to one tablet three or four times daily as required. 1 – 6 years: 5 to 10 ml of the liquid suspension (120 to 240 mg of paracetamol). Dose may be repeated after 4 hours. 3 months to less than 1 year: 2.5 to 5 ml of the liquid suspension (GO to 120 mg of paracetamol). Dose may be repeated after 4 hours. 2 months of age. If necessary. a second dose can be given 4-6 hours later. If pvrexia persists after the second dose, medical attention is required. For all other indications in this age group, use only under medical supervision. 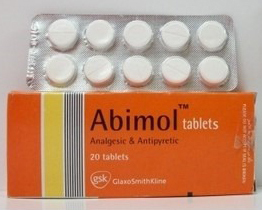 Abimol should not be used with other paracetamol containing products. Abimol is contraindicated in patients with a previous history of hypersensitivity to paracetamol or excipients. – Paracetamolhas been widely used and, when taken at the usual recommended dosage. side effects are mild and infrequent and reports of adverse reactions are rare. – Skin rash and other allergic reactions, such as anqioedema occur rarely. – In patients sensitive to aspirin or other NSAIDs. aggravation of bronchospasm has been reported. – Most reports of adverse reactions to paracetamol relate to overdose with the drug. – Isolated cases of blood dyscrasia. thrombocytopenic purpura. haemolytic anaemia and agranulocytosis have been recorded. – chronic hepatic necrosis has been reported in a patient who took daily therapeutic doses of paracetamol for about a year and liver damage has been reported after daily ingestion of excessive amounts for shorter periods. A review of a group of patients with chronic active hepatitis failed to revee! differences in the abnormalities of tlver function in those who were long-term users of paracetamol nor was the control of their disease improved after paracetamol withdrawal. – Potentially fatatflver damage is likely in adults who have taken 159 or more of paracetamol. As little as 109 may lead to livernecrosis, Patients taking enzyme-inducing drugs or with a history of alcoholism may have an increased SUSttptibility. It is considered that excess quantities of a toxic metebolite (usually adequately detoxified by glutathione when normal d<RS of paracetamol art employed), become irreversibly bound to liver tissue. and increased sweating. over damage may become apparent 12 to 48 hours after ingestion. Abnormalities of glucose metabolism and metabolic acidosis may occur ln severe poisoning, hepatic failure may progress to encephalocathv, coma, and death. Acute renat failure with acute tubular necrosis may develop even in the absence of severe livtr damage. Cardiac arrhythmias have been reported. – Prompt treatment is essential in the management of paracetamol overdosage Any patient who has ingested about 7.5g or more of paracetamol in the preceding 4 hours should undergo gastric lavage or induced emesis. Specific therapy with an antidote such as acttyfcysteint: or methionine may be necessary, Acetylcysteine may be given either intravenously or by mouth or methionine may be givtn by mouth within 10 -12 hours of ingestion of the overdose. Generally treatment is required if the blood-paracetamol concentration is higher than a line (the ‘200’ line) drawn on semi- log/linear paper joining th( points 200 mg/litre (1.32 mmol/litrt) at 4 hours and 30 mg/litrt (0.20 mmol/litre.) at 15 hours following ingestion. methionine or intravenous N-acttylcystt:ine which may have a beneficial effect up to at least 48 hours after the overdose,may be I’tquired. General supportive measures must be. available. Ilver function tests should be. performed at 24 hour intervals for at least 96 hours post-ingestion if the plasma parecetamot concentration indicates a potential for hepatotoxicity. Renal and cardiac function should be monitored and supportivt treatment should be directed at maintaining fluid and electrolyte balance and correcting hypo -glycarmia. Haemodialysis ana baemcperfusicn have been used with some success but peritoneal dialysis is ineffective. The anticoagulant effect of warfarin and other coumarins may be enhanced by prolonged rrgular daily use of paracetamol with increased risk of bleeding; occasional doses have no significant effect. Care is advised in the administration of paracetamol to patients with severe renal or severe hepatic impairment. The hazard of overdose: is greater in those with non-cirrhotic alcoholic ffver disease. Patients who are taking other potentially hepatotoxic drugs are at Increased risk of paracetamol-induced hepatotoxicity. – D0 not to take other paracetamol-containing products concurrently. – If symptoms persist consult your doctor.